Dr. Wittwer is a professor of pathology at the University of Utah School of Medicine. 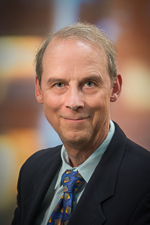 He is an associate editor of Clinical Chemistry and is best known for developing techniques in rapid PCR, real-time PCR, and DNA melting analysis. Dr. Wittwer received his MD from the University of Michigan School of Medicine and his PhD in biochemistry from Utah State University. He is board certified in anatomic and clinical pathology by the American Board of Pathology and signs out cases in flow cytometry and molecular genetics.